All areas of science – indeed all fields of human endeavour, be it the law, architecture or music – develop their own terminologies. Metrology and geochemistry are no exceptions. Ideally, such terminologies aid progress by facilitating clear, unambiguous written and verbal communication between practitioners. Unfortunately, terminologies are not usually static. They evolve over time as advancements are made in their field. New terms appear and old definitions are superseded. Moreover, the same term may be used in two completely different areas of knowledge and have two completely different meanings in each. The classic example is standard, which is used in both analytical science, often referring to some reference value, and also in many fields of technical regulation where it refers to a document listing many requirements that must be met. Scientists whose research involves measurements have evolved specific terminology to describe and communicate the work they undertake. The basis for modern metrology is the SI system (International System of Units). However, accompanying this measurement system, there is a need to ensure international agreement in the terms used to describe various stages of the measurement processes. The responsibility for developing a standard international system of terminology rests the Joint Committee for Guides in Metrology (JCGM), established in 1997 and chaired by the Director of the Bureau International des Poids et Mesures (BIPM) in Sèvres, France. The main output of the JCGM with respect to measurement terminology has been the international vocabulary of metrology (VIM). This has been through various revisions, the latest of which is VIM 3 (International vocabulary of metrology – basic and general concepts and associated terms, JCGM 200:2012, 91pp, see http://www.bipm.org/en/publications/guides/vim.html). VIM3 provides a rigorous definition of almost all terms required for use in the measurement sciences, sometimes with guidance for use. Science journal editors have not always been rigorous in insisting on the correct use of VIM3 terminology. 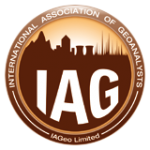 Advice has been sought from the journal Geostandards and Geoanalytical Research concerning some of the most misused terms. The purpose of this glossary is, therefore, to explain and provide advice on the correct use of metrological terminology in a simple and accessible way. The overall aim is to allow readers to improve the quality of their research manuscripts in the way that measurements are communicated. Download the full Glossary Leaflet.